When we received a plea for help for deaf 6 month old boxer Joy we knew she would be a perfect recipient for Nitro’s Fund. Nitro gave us so much joy while he was here on this earth it would only be fitting that the first boxer to benefit from the sponsorship of Nitro’s Fund name is Joy. Photo above: Joy just arrived from TN Green Dogs Unleashed here in Virginia thanks to our Highway Heroes Rescue Transport Team who are just a wonderful group of volunteers who help get rescue dogs into rescue. Joy is a six month old Boxer who will start on her new journey as we sponsor her into Green Dogs Unleashed here in Virginia. Looking at Joy she reminds me so much of Nitro when he was just six months old. She really does look like him. Joy was transported from Memphis TN to Green Dogs Unleashed in Troy Virginia where she will go into foster care, get additional foundation training while potential homes are being carefully screened. 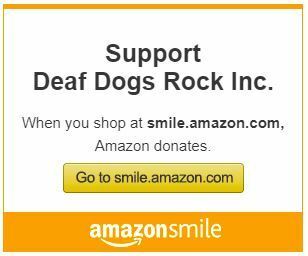 If you would like to donate in honor of your deaf boxer or in memory of your deaf boxer to help the next boxer please click here. I really think our deaf boxers would want us to continue to pay it forward through Nitro’s fund so we can continue to sponsor deaf dogs into the safe harbors of our partner rescues. We recently received a photo of Joy enjoying her time in her new foster home and she looks like she is having a great time! Above: Joy stretched out enjoying a nap after a day of playing with her foster siblings.